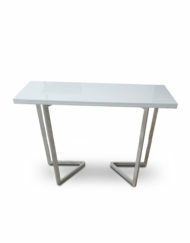 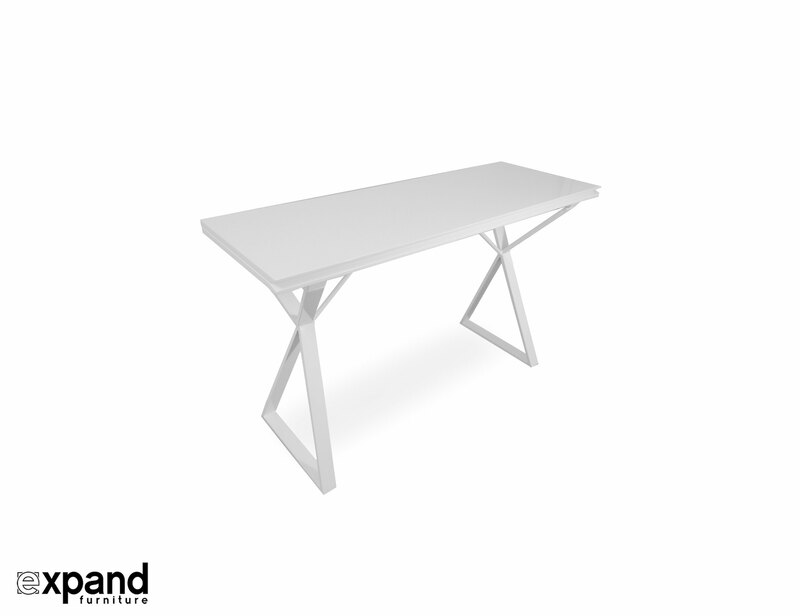 The Mondrian White Gloss Convertible Desk Table is a petite console table or desk that doubles in size when flipped open. 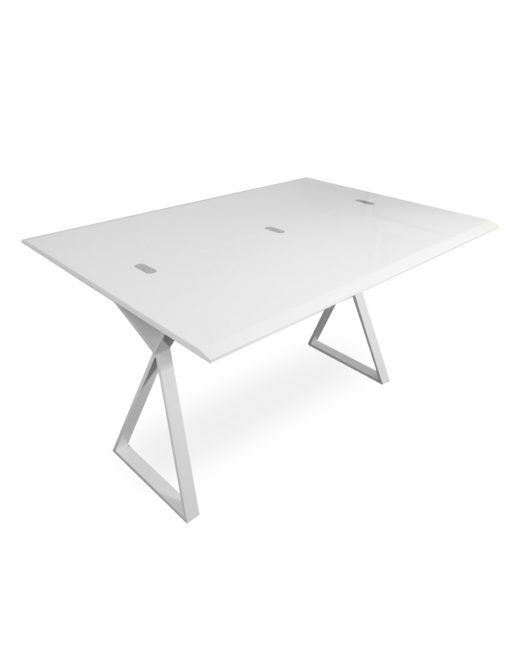 In its converted state it provides dining and work-space measuring 51 inches (130 cm) by 36 inches (90 cm). 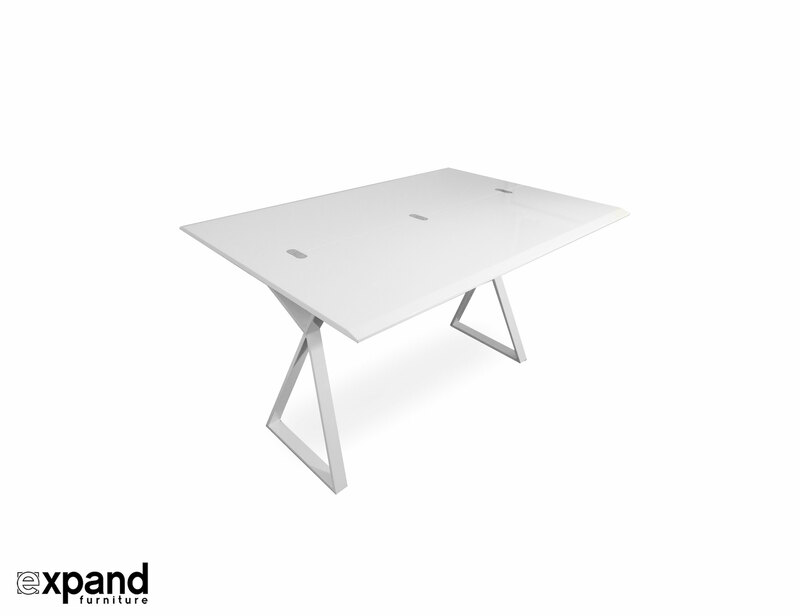 The slim architecturally designed triangle-like white legs ensure that the Mondrian Glossy Convertible Desk Table is as strong as it is beautiful. 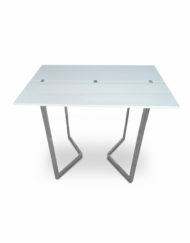 It is the quintessential solution if you are looking for a desk and also want to have a place to enjoy a quiet dinner. 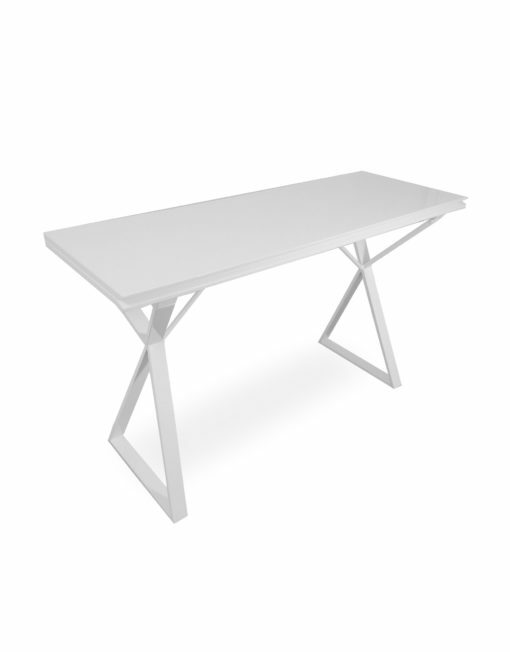 Additionally, it fits neatly in your breakfast nook, home office, or craft corner, or can be used as a vanity in your bedroom or boudoir. 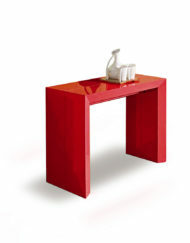 It can even be placed in your foyer as a sideboard, or behind the couch. 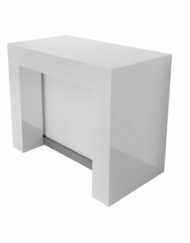 Dress it up with some swanky decor or accessorize this little convertible glossy masterpiece and make it a winning addition to any home or office. 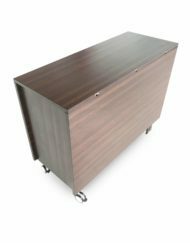 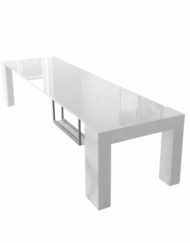 Check out our other space saving tables such as the Flip or try the Frame or the Hygge for slightly larger table alternatives. 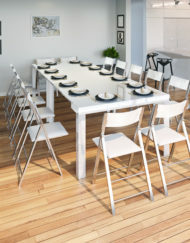 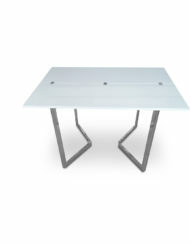 Perfect as a contemporary white transforming dining table, occasional dinner table, folding breakfast nook table or anywhere else a versatile retracting expansion table is needed. 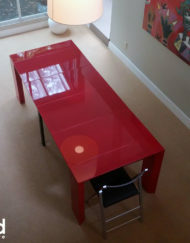 Insured delivery. 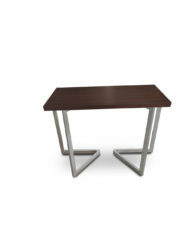 Ships worldwide in about 7-10 days. 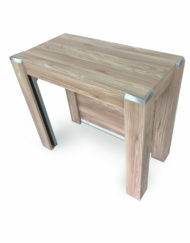 This product needs light assembly. 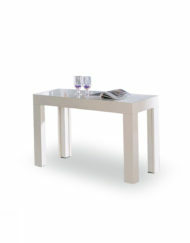 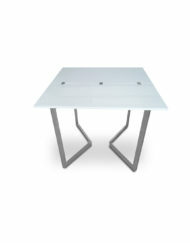 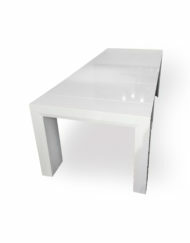 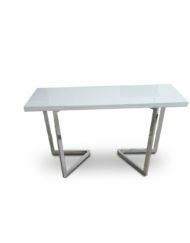 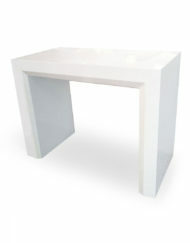 Available in glossy white with flat white painted metal legs.